At last the wraps have been taken off of the BlackBerry P'9981, the BlackBerry handset that was formerly known as the BlackBerry Bold R47 and BlackBerry Knight. First spotted back in September, no one was quite sure what to make of the odd BlackBerry with a keyboard unlike any we'd ever seen before. A few days later it began to click that Porsche had something to do with it, but even that wasn't certain. Once an invitation went out from RIM and the car maker of an event in Dubai this week, it looked like all of the speculation was correct, and the two companies had indeed teamed up for a phone. 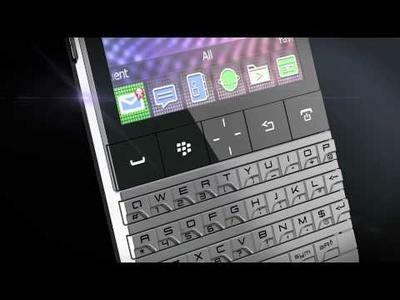 Announced this morning, the BlackBerry P'9981 will be sporting a 1.2GHz processor and running on BlackBerry 7 OS. It is due to release at the end of the year and is rumored to have a suggested retail price of … are you sitting down? … $2,000. But, for that price, you'll get an exclusive PIN that begins with "2AA," so at lease people will know you're awesome. Check out the full press release below for all of the details. Editors Note: There are three photos accompanying this press release. Today, Porsche Design and Research In Motion (NASDAQ:RIMM)(TSX:RIM) announced the elite new Porsche Design P'9981 smartphone from BlackBerry®. Designed by Porsche Design, in collaboration with RIM, the luxury brand's first smartphone delivers engineered luxury and performance. The Porsche Design P'9981 includes built-in support for NFC (Near Field Communications), which will enable many new and exciting capabilities. 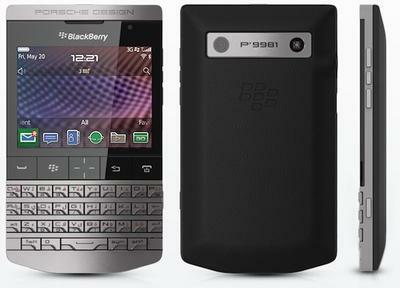 The Porsche Design P'9981 smartphone from BlackBerry will be available from Porsche Design stores later this year.